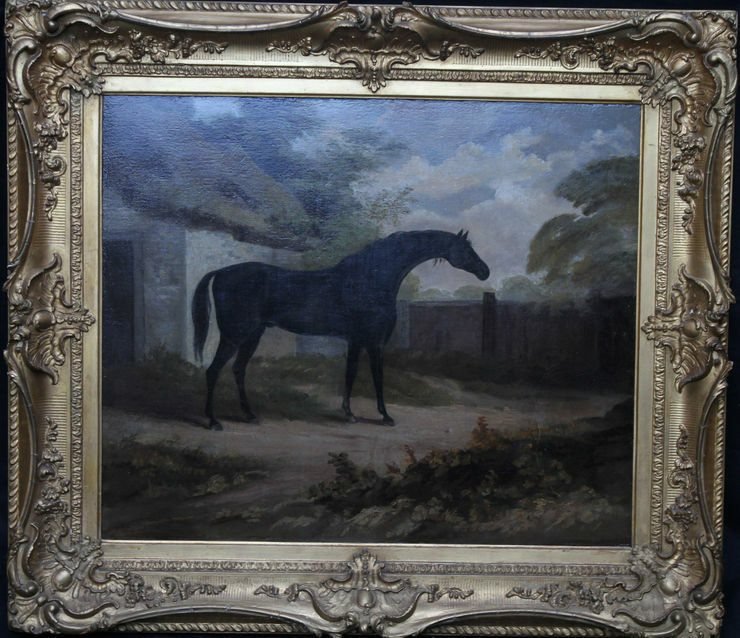 A fine British Old Master oil painting in the 18th century tradition of George Stubbs and Sawrey Gilpen which is attributed to John Boutlbee. 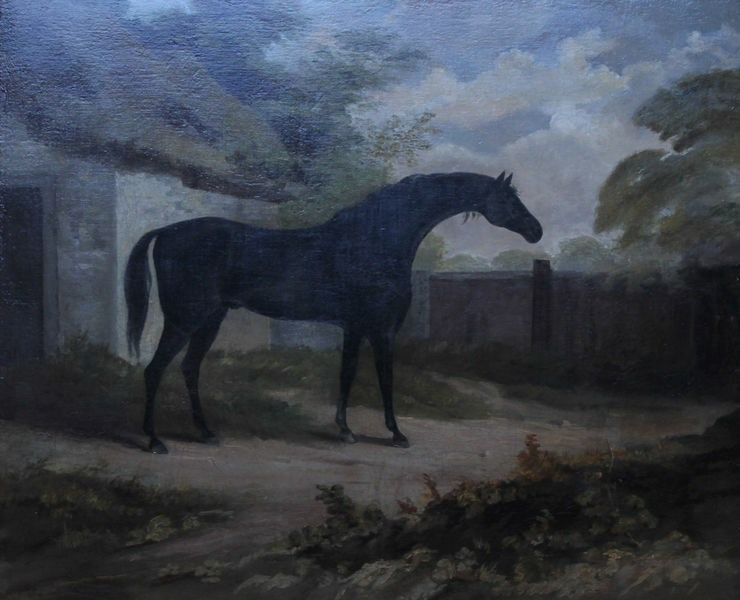 It depicts a black racehorse, Trumpator, who was a famous winner in the late 18th century. The paintings dates to circa 1790 and is housed in its original frame. A stunning painting. Horse details verso. John Boultbee (1753-1812) was an English painter of equestrian and other sporting subjects. He was born on 4 June 1753 and died in Liverpool on 30 November 1812. Boultbee entered the Royal Academy School in 1775 and became a pupil of Sir Joshua Reynolds exhibiting in London, including at the Royal Academy from that date. Boultbee was greatly admired by George III who commissioned several horse-portraits by him and assigned him a residence in Windsor Park so that he might carry out his painting duties more conveniently. Boultbee was influenced by the work of George Stubbs and Sawrey Gilpin. Later in life, he lived and worked in Derby, Leicestershire, and finally Liverpool where he died in 1812.